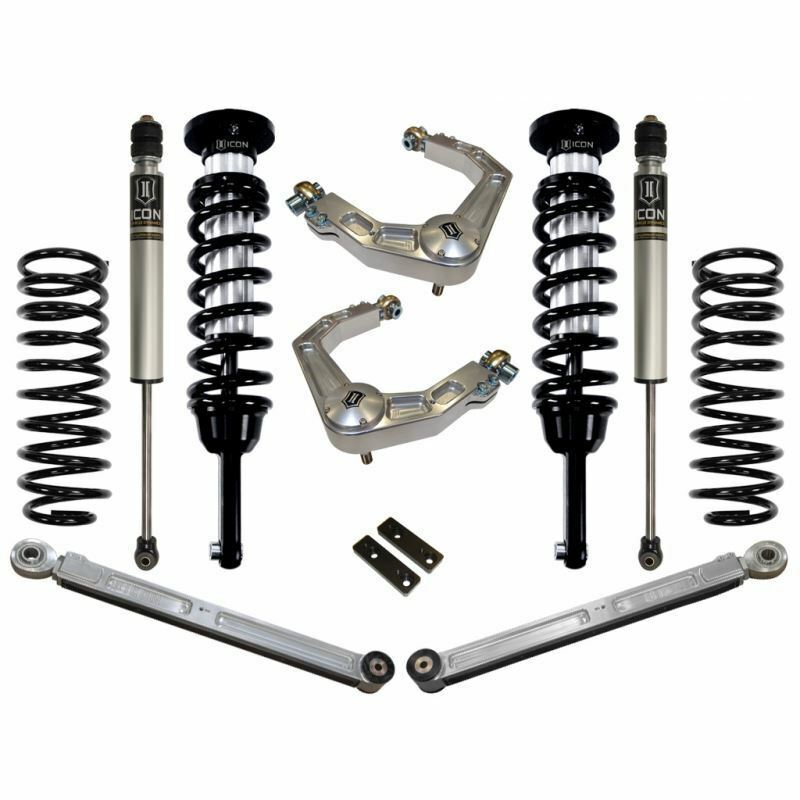 The Stage 3 suspension system for the 2007-2009 Toyota FJ Cruiser uses the same components as the Stage 2 system along with adding a set of our Billet Aluminum Rear Lower Links. This system contains our Extended Travel Coil-over shocks, and Billet Upper Arms to enhance your front suspension. In the rear, our 2" Lift coils and ICON V.S. 2.0 Aluminum Series shocks give your FJ Cruiser much better ride quality and performance. For the avid off-roader in mind, we have engineered a stronger lower link system like no other suspension manufacturer. ICON's 6061 Toyota FJ Cruiser Billet Aluminum Lower Links can be easily adjusted on the truck for optimum pinion angle, and are protected by a machined nylon skid strip to help slide over rocks without damage to the links structure. On top of it all, these Links have been positioned to give correct roll steer geometry for the best possible handling on and offroad. • We recommend the use of our #56100 shock shin guards or a protective boot to reduce the chance of shock shaft damage. These shocks are located in a vulnerable position that allows debris to easily come in direct contact with the shock shaft.